The Bridge is a dynamic and impactful college and career ministry designed for single young adults between the ages of 18-30. Our vision is to help young adults discover a personal relationship with God, while developing a life of worship, faith, and friendships. Join us each Wednesday night for an inspirational fellowship where we share relevant Bible teaching, interact on life learnings, and enjoy time with friends in the college-age community. The Bridge also meets twice a month on Friday nights for special outings, including coffee and game nights, bonfires, campus outreach events, and much more. College and Career Pastor Jason Hagwood truly has a heart and passion for young adults. With over 17 years of service to youth of all ages, he and his wife, Deesha love to help students discover their potential and fulfill the purpose God has for them. 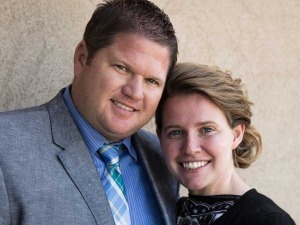 Jason has served as Georgia District Youth President for the Assemblies of the Lord Jesus Christ for the past 8 years. Jason and Deesha have two beautiful children, Landon and Kinlee, and as a family are devoted to serving the needs of their church, Pastor, and community.